Supplied in a large and economic pack size for busy environments, our Mini Centrefeed packs are best suited to areas with less available space. 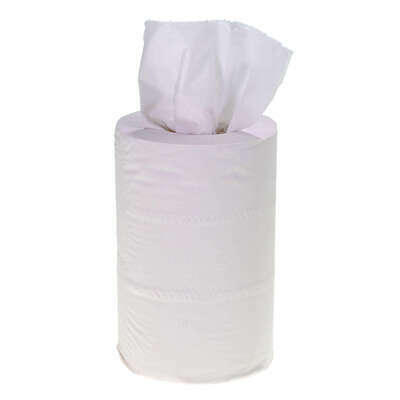 Manufactured using a high quality 2ply tissue in their design, each of these 12 rolls collectively supply your workplace with 60 meters of tissue. These rolls are ideal for a range of tasks from waste use, cleaning or mopping up with a non-coloured design that leaves no stain on your surfaces. The entire pack comes shrink wrapped for compact and convenient storage while allowing a single roll to be removed easily when required. These mini centrefeed rolls are compatible with a variety of dispensers with perforated lines that allow single sheets to be torn off when needed.